United Arab Emirates, 7 May 2017: International retail franchise operator M.H. Alshaya Co. has announced its franchise partnership with acclaimed chef Thomas Keller to launch the first three Bouchon Bakeries outside the United States in Dubai, Kuwait and Qatar this year. 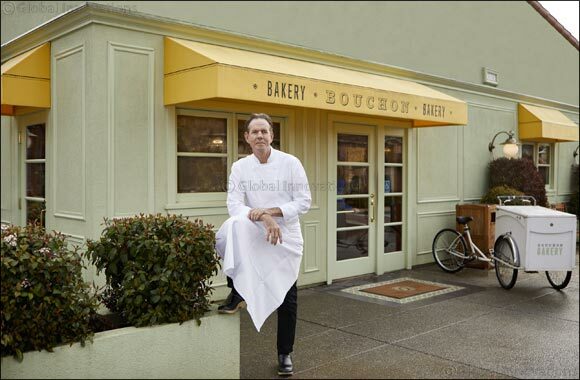 The first Bouchon Bakery opened in July 2003 by Keller, the award-winning American chef, restaurateur, and cookbook author, as a place that would foster community and provide one-of-a-kind breads in Yountville, California. Since then, the bakery has quickly blossomed beyond the Napa Valley into an important landmark throughout the United States which offers a genuine style of classic French boulangeries and a wide selection of artisanal breads and classic desserts inspired by Chef Keller’s childhood memories and of his time in France. Keller is the first and only American chef to have been awarded simultaneous three star Michelin ratings for two different restaurants. He currently holds seven Michelin stars: three at Per Se, three at The French Laundry, and one at Bouchon Bistro. Bouchon Bakery also features an array of sweet delights including classic viennoiserie, such as croissants and pain au chocolat, breakfast items like muffins and streusel cakes as well as an ever-changing selection of tarts, cookies, sandwiches, quiche, soups and salads. Bouchon Bakery exclusively carries the rich and complex Thomas Keller Espresso blend, the product of a 15-year collaboration between Chef Keller and Equator Coffees &Teas.